Lighting design is a great way to tie together the smaller details of your celebration. If you are trying to find a way to make all your colors compliment each other, then look no further. 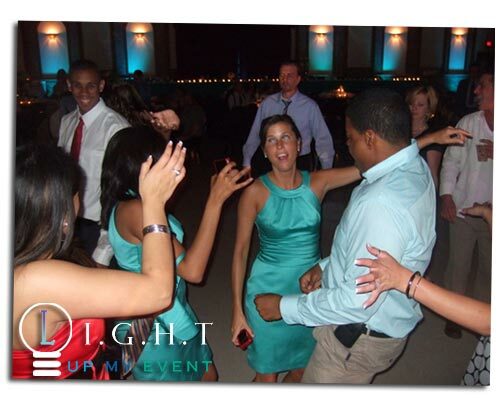 As you can see in the photo above, the lighting is matching the bridal parties dresses. However, lighting fixtures can also add spontaneous to your night. Lighting can change color as the mood of your party does. This is a great way to keep the event fun while stilling putting a modern touch on traditional ways.